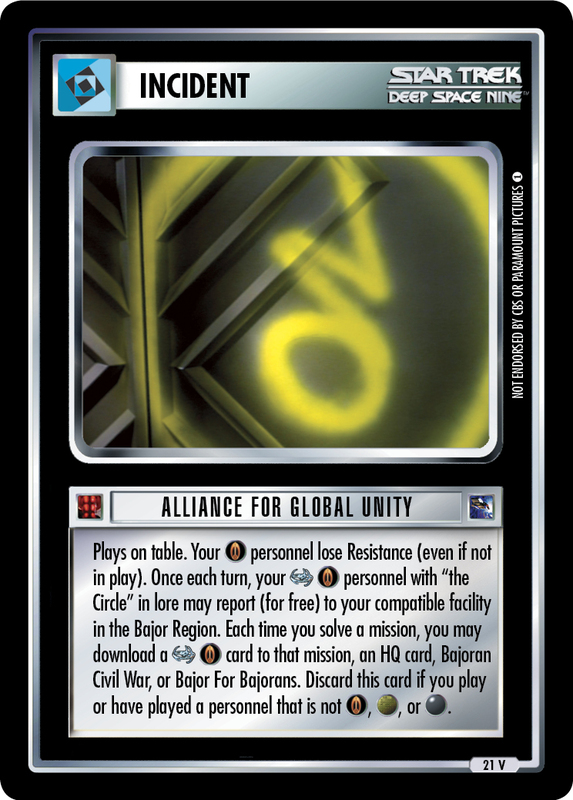 Plays on your escorted captive on Cardassia Prime; you may discard captive at any time. (Unique.) Each of your Law personnel add captive's skills. 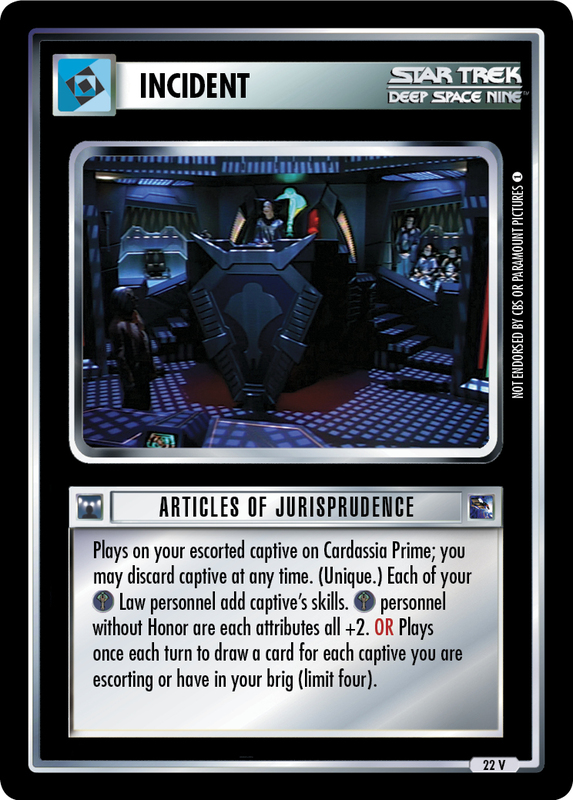 personnel without Honor are each attributes all +2. 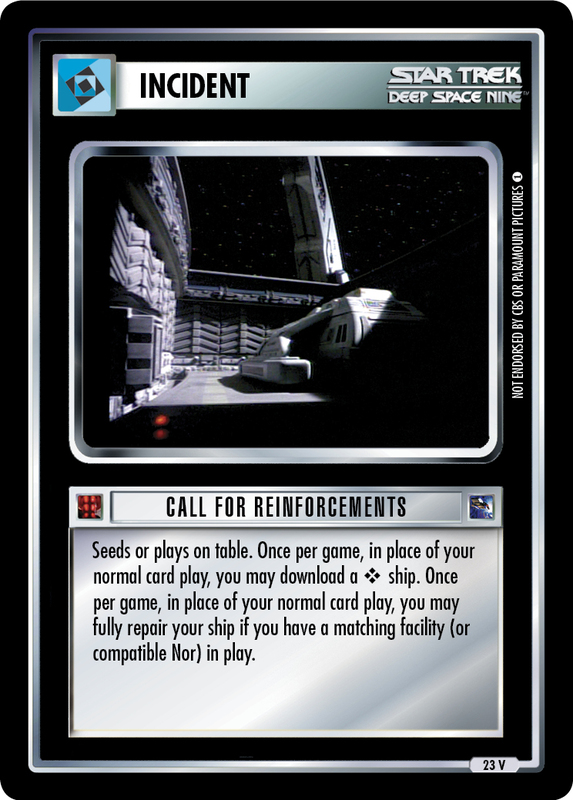 OR Plays once each turn to draw a card for each captive you are escorting or have in your brig (limit four).